deterrent, provide homeowners with an immediate response, and alert the authorities. When you're looking at home alarm systems, what do you look for? With all the varieties on the market, choosing one can be challenging. Here are four tips on buying a home alarm system. home security is only as good as its response to the threat. An immediate response means more than alerting the authorities—it also means that if you're out of the house, an alert is sent to your smartphone warning you of the problem. It's the customers that count. Look at customer reviews online and find out if they're happy with their service. When they call the customer service team, do they feel that their needs are met? If there is an attempted break-in or other threat, how did their home security system help? When you're looking at home alarm systems, you're looking for more than protection from burglars. You want a system that protects you from fires and carbon monoxide and that warns you about tornadoes or other severe storms. 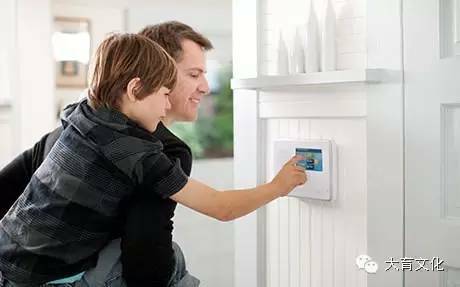 Great home security packages offer wireless technology that can notify you of any changes in your home. Even if you're at the office and the smoke detector goes off, you'll know immediately thanks to an alert sent directly to your smartphone. A quality home security system protects you from everything, not just people trying to steal your laptop. When you're buying a home alarm system, it's easy to get overwhelmed by all the options. Hundreds of options may make a system look better than it is. Remember, it all comes down to you. Consider every option, but cross any you can't see yourself using off your list. The best home security systems will let you choose which type of alerts you want to receive.